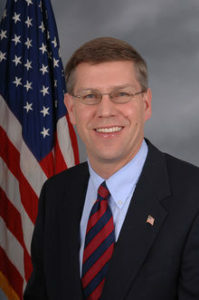 Patients would have more health care options and improved access to primary care doctors under bipartisan legislation that was reintroduced by U.S. Erik Paulsen (R-MN) on Friday. The Primary Care Enhancement Act would bring greater flexibility to patients by providing them access to an innovative delivery model in which primary care services are paid for through monthly membership-based fees. Under current tax law and regulations, direct primary care is considered a form of insurance coverage rather than a medical service, which limits patient access to it. U.S. Rep. Earl Blumenauer (D-OR), who co-sponsored the Primary Care Enhancement Act with Paulsen, said the bill is about giving patients more flexibility to access the care they need. Under the bill, consumers would also be able to use health savings accounts to pay for monthly membership fees. U.S. Sens. Bill Cassidy (R-LA) and Maria Cantwell (D-WA) plan to introduce companion legislation in the Senate.